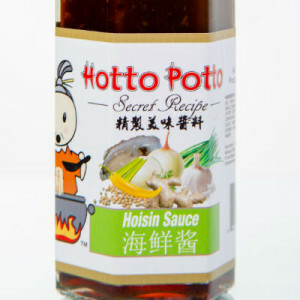 Try Hotto Potto’s sweet and salty Hoisin Sauce, also known as Chinese plum sauce. SKU: 864669000074. 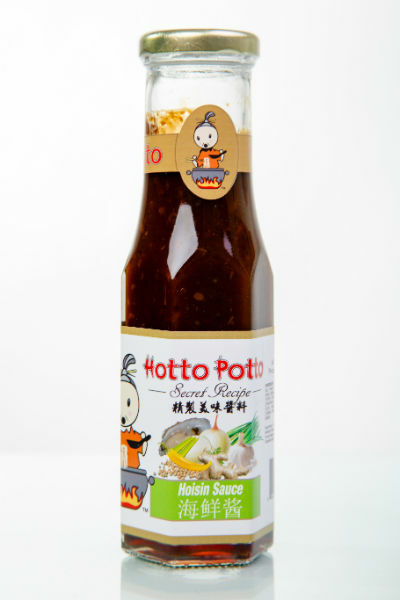 Category: Sauce. Tag: sweet. 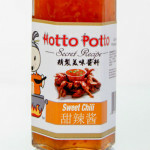 Suggested Uses: Make delicious stir fries at home or use it as a glaze or dipping sauce. 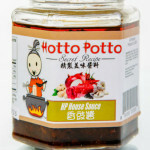 INGREDIENTS: Water, soya bean, salt, wheat flour, rice vinegar, garlic, sesame oil, chili and spices, oyster extractives, corn starch, caramel color, seafood stock, sugar, cooking wine, shallots, ginger.